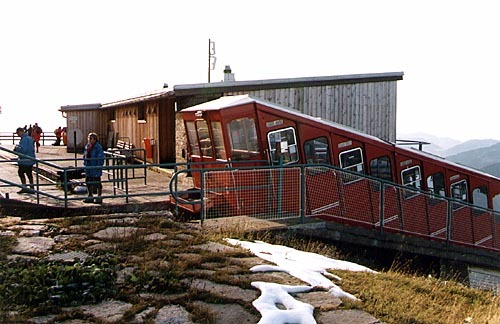 Third and last of the funicular sections, this section starts at Trog, in the forest, and reach the limit of the forest near the altitude of 2000 meters and reaches the top station of Schoberboden in the rocks of the Reisseckgruppe. On the right an interesting photo (another one, I am sorry) showing the Trog station from the section 3 (the track on the right) and the section 2 with the cabin 2 which is starting to go down. You can notice the power house of the section 2 on the right of the photo (a part of the roof through the trees). 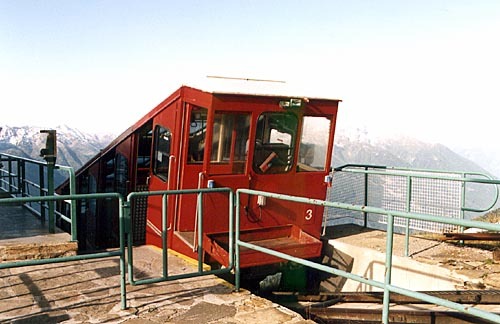 The cable of the section 2 pass under the small construction (with a white roof) which protects a pulley, then pass under the track of the section 3 and reach the power house as shown on precedent page. 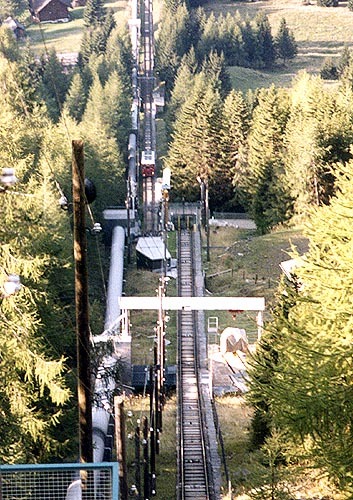 The track just before the Schoberboden station, above altitude 2000 meters. On the background, a splendid view on the Kreuzeckgruppe and the Salzkofel (2498 m). The cabin 3 in front of the Kreuzeckgruppe. On the right of the photo, with a good weather, you may see the Grossglockner which is the highest summit of Austria (3797 meters). Schoberboden station and the Salzkofel. 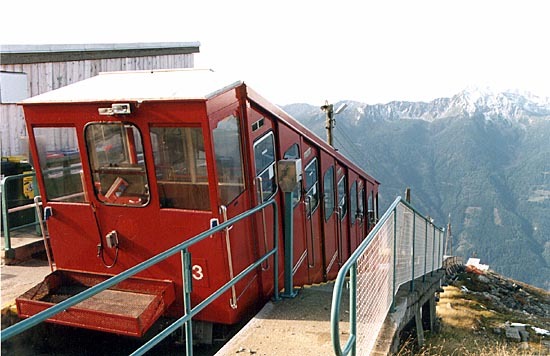 Schoberboden station which is also the station of the narrow gauge train (on the left). 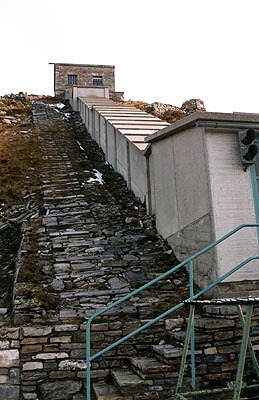 This is the power house of the third section at the top of this promontory. 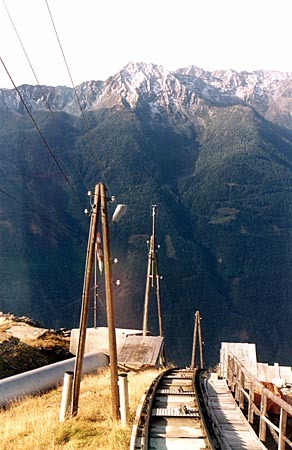 The cable is covered between the power house and the Schoberboden station.